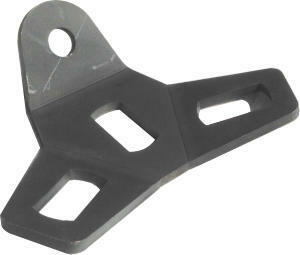 The Spirafix SA705 is a simple and highly effective x3 slot bracket. Simply hammer the helical anchors down through each slot. The bracket is specifically designed to drive anchors away from each other therefore overcoming any potential impact of the 'cone effect'. The cross section of each Spirafix Ground Anchor is designed to neatly run through the slots which are sized accordingly. 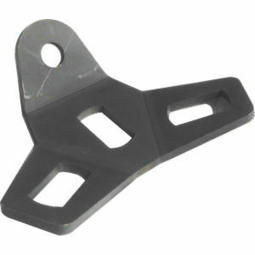 Lay bracket on the ground with terthering hole facing direction of wire. Hammer first Sprirafix anchor into middle slot securing the position of the bracket.